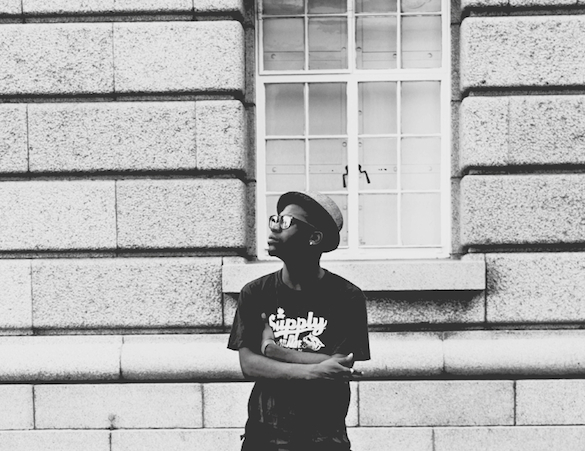 Jazzuelle is the full time electronic music project of 25 year old Thando Tshoma, South African (Johannesburg) based electronic music producer. From early influences in Jazz and Underground Hip Hop, to a defining stint with leftfield, the 2013 Red Bull Music Academy Bass Camp Participants music blends various organic and electronic elements into a hybrid sound that lies somewhere between Deep House, Trip Hop & leftfield, with a uniquely South African feel. Jazzuelle’s latest project Travelling (incl. Atjazz Mix) is out now on Traxsource via Phat Elephant Recordings & he shares 5 influential tracks of his own in this 5 Records feature. When I did this track, I was going through quite a tough time, It was also my first self released record, it was a milestone for me and something that was and still is pure for me till this very day. Undercurrents was the tune I released on my third self released release, the Undercurrents EP and it was basically an attempt to change my sound a bit, An elevation, so to speak. It really changed the way i write music today and the processes I use when doing a track. This tune was part of an EP called Archaic Rapture, released by Foliage Records, my first international release, it was a big milestone for me, my heart was on my sleeve on this one, the EP had a great review too and still rocks everywhere I play it today. Winters Tale was a piece I wrote just around winter actually, I’ve been doing the track for quite some time but got only recently got released by Do It Now Recordings Sub Label Deepstitched, the track was based on my nostalgic longing to see my hometown again, the whole EP was in fact. This one was really personal to me, I was going through an impending break up with my lady ay the time. When I started the remix, Ruby’s lyrics instantly struck chords with me, it was personal, her lyrics gauged the mood of the track and I could relate.